There's nothing quite like the flavour and aroma of freshly baked bread. Your bread machine gives the pleasure of both with the least effort on your part. This book is for those who are new to bread making and those who want to expand their repertoire of recipes. - It takes you through the basic techniques and provides foolproof advice on how to make the perfect loaf. 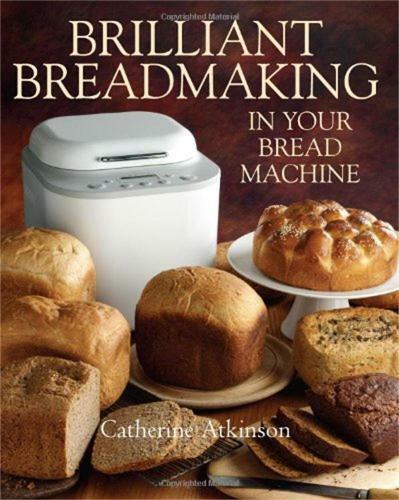 - From simple, straightforward loaves, which cost a fraction of the shop-bought equivalent, to more elaborately flavoured and handshaped creations, you'll discover over a hundred delicious recipes that make the most of your bread machine's potential. - If you are concerned about what goes into the food you eat, you can now decide the ingredients of your daily bread yourself, and make bread that you will love. There are chapters on breads for those on special or restricted diets, such as gluten-free, and recipes using spelt and rye flours. - All recipes are suitable for all makes of bread machine, and most recipes include ingredients for medium or large loaves or a small loaf using a compact bread machine. I was a little disappointed with Brilliant breadmaking because there were no colour illustrations of the different breads. Also the book was much smaller than I had expected but some of the recipes seem good.